A sponsored post written by me on behalf of Gentle Dental, Placentia. Sometimes I feel like a broken record. Twice a day I remind my children to brush their teeth. For some reason they just can’t seem to remember on their own. The most common, chronic childhood disease is tooth decay, therefore it’s very important to instill good oral hygiene at a young age. 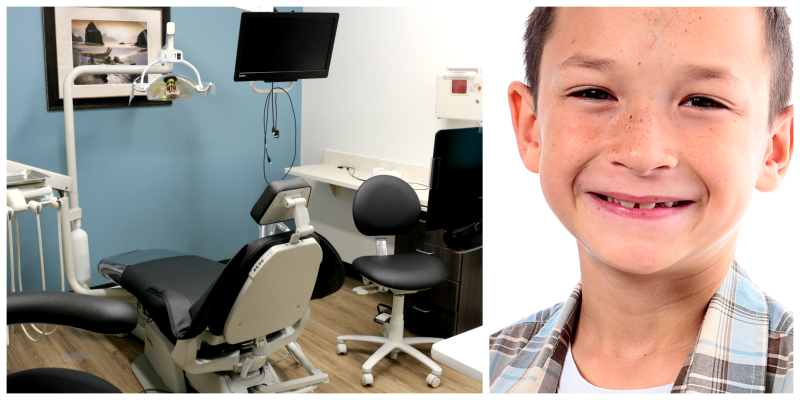 Gentle Dental in Placentia shares great children’s oral health tips with their patients. Tooth decay is common among school aged children between the ages of 5 and 9. This is the age where kids are learning the importance of a daily brushing and flossing. Setting a good example and showing them proper brushing techniques is key. 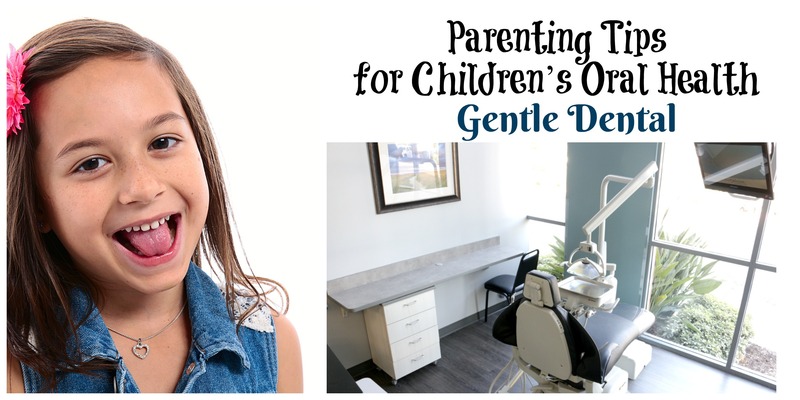 At Gentle Dental in Placentia, they recommend keeping the brush at a 45 degree angle from your child’s gums and move in a back and forth motion in short tooth wide strokes, making sure to brush the inner, outer and chewing services of their mouth. Gentle Dental shared that approximately half of school age children have at least one cavity. Dental-related illness accounts for a loss of 52 million school hours each year. Tooth decay can effect a child’s speaking, eating and even concentration. They recommend that children (and adults) use the proper techniques above and brush their teeth twice a day, floss once a day, eat foods low in sugar and drink plenty of water. Check out online games or apps that can assist in teaching and making brushing teeth fun. Use the proper sized tooth brush. Gentle Dental offers personalized care of a neighborhood dentist within a powerful network of dental providers. With more than 180 offices throughout the U.S. with the latest techniques to be as gentle as possible while achieving the best results. Each practice delivers high-quality care with a personalized touch. With extended weekend hours for your convenience, nearly every location is able to offer full specialty services AND trained specialists will travel to the patient’s preferred practice for treatments. The Gentle Dental Placentia practice accepts most insurance plans, offers easy financing and has an in-house dental plan available to patients without current dental insurance. The Gentle Dental Smile Plan can save patients 15-60 percent on dental procedures and ranges from $59 for individual enrollment to $119 for family enrollment. Make an appointment today! Contact Gentle Dental to make an appointment at (657) 999-2357 or visit their website. Giveaway ends December 18, 2016 at 11:59 PM PST. Open to US Residents 18 and older only. Tickets will be mailed directly to the winner’s home (or mailing) address. Winner will be selected at random and be notified by email. Winners have 48 hours to respond before a new winner is selected. Not liable for unclaimed prizes or fulfillment. Blog has represented each sponsor with the expectation they will fulfill their prize and in a timely manner. No purchase necessary to enter or win; however you must enter for a chance to win. Purchase does not increase chance of winning. Chances of winning depend on number of entries. My opinions are my own and were not influenced by any form of compensation. Facebook, Twitter or any other social media platform are in no way associated with this giveaway. By providing your information in this form, you are providing your information to this blog. I do not share or sell information and will use any information only for the purpose of contacting the winner. Winners can only win once per month. Not liable for unclaimed prizes or fulfillment. Gentle Dental is brand of InterDent Services Corporation, which is headquartered in Vancouver, Wash. For over 30 years, Gentle Dental has delivered high-quality care with a personal touch. With nearly 170 practices located across Arizona, California, Hawaii, Kansas, Nevada, Oklahoma, Oregon and Washington, Gentle Dental offers comprehensive care in general, cosmetic and specialty dentistry. Each location offers the leading edge of treatment options in the industry and is equipped with state-of-the-art equipment and technology. Visit http://gentle1.com to learn more about Gentle Dental. 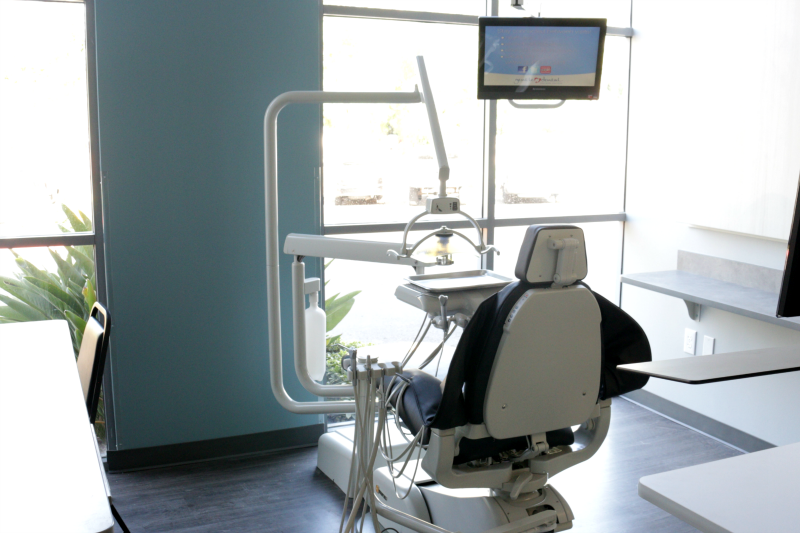 Gentle Dental is growing rapidly and has opportunities for dental professionals in most of its markets. Call 855-5Gentle (543-6853) or visit http://www.gentledentalcareers.com/ for more information. Would like to win power toothbrushes for my son and daughter. I tell them to brush and then I check up behind them and make sure that they do in fact brush. I wish I had a tip to get my children to brush their teeth but I don’t . Me telling them to is my only tip. I remind my kids to brush their teeth in the morning before school and before bedtime. We have used fun tooth brushes, the Oral-B brushing app and setting a timer. We use the Disney Magic Timer app which makes brushing more fun! I used a daily reward chart when my 2 boys were little. If they brushed 2x day all week they received a prize at the end of the week. Between the reward and a few reminders — they made it every week.